Our market-leading urban flexible generation plants help support the growth of renewables by providing on-demand energy when wind and solar are not able to produce enough electricity. In doing so, our projects help balance the grid, enabling the transition to a low carbon economy, whilst making sure, whatever the weather, we have the electricity we need close to where we need it. We have an established track record in developing low carbon, decentralised energy assets. To date we have developed more than 150 MW of larger scale flexible generation projects which is enough to power around 60,000 homes for a whole year. Our focus is now on Urban Reserve, which develops smaller scale generation plants close to urban and commercial demand centres. As well as supporting the intermittency of renewables, these plants defer network reinforcement costs and support the growth of new technologies such as electric vehicles and heat pumps by providing on-demand energy in our busiest cities. We have ambitious plans to develop 40MW - 50MW of such 2-4MW projects with a particular focus on Greater Manchester, Liverpool and Greater London. AMP Clean Energy is looking for commercial or industrial land to rent in London, Liverpool and Manchester, to develop new urban reserve projects. We will fully fund the development at no risk to the landlord and will pay competitive rents for suitable sites. AMP Clean Energy identifies sites suitable to build, own and operate Urban Reserve plants using a range of technical in-house tools. Working directly with landlords, land agents and institutional landowners, we offer competitive long-term leases. Urban Reserves sites are small, and often pay rents on parcels of land that landlords aren’t generating income from. Urban Reserve projects require a dedicated natural gas and electrical connection. Our in-house specialists work closely with local gas and electricity network operators, entirely at our time and cost, to secure the connections required. Our in-house development team, working with landlords to get the optimum layout, are responsible for the site's design, including technical specifications, which will be submitted as part of the planning application. Using our in-house specialists, we prepare and submit a planning application for the site entirely at our own cost and risk. Once submitted, we will receive planning permission within three months. We will start construction within six months of planning approval, often sooner. Developing the site, which AMP Clean Energy fully funds, can take 4-6 weeks. Once the site is built, our connections and delivery team take over the operation of the asset. Our sites are fully automated and controlled remotely, ready to deliver energy at very short notice at times of peak demand. Our Urban Reserve and flexible generation plant projects are helping support the UK’s transition to a low carbon economy. Our experience spans developing large power plants to smaller installations, both of which provide on-demand electricity in our busy urban areas at times of peak demand. Operating since 2017, this large peaking plant was developed and built by AMP Clean Energy. The plant is in operation for around 1500-2000 hours a year, and can be ramped up in just two minutes to provide electricity. A fully automated, unmanned, remotely controlled peaking plant which has won several contracts in the National Capacity Market to provide on-demand energy. The gas peaking engine is part of a larger project including a 1.65MW biomass CHP and 1MW biomass heat boiler on the Villa Nursery site. AMP Clean Energy financed and developed the holistic energy solution which supplies most of the heat and electricity needed to support the 15-acre nursery. The gas peaking engine provides further on-demand energy to the local network as and when required. AMP Clean Energy has secured planning permission to develop this 4MW standby-electricity generation plant close to the M25 and Central London. The natural-gas plant is being funded and developed by AMP Clean Energy to provide back-up energy in this busy urban area. Planning permission has been secured to build a 4MW peaking plant on a site in Bootle, Liverpool. AMP Clean Energy aims to start construction on the project in early 2019, and the plant should be fully operational later that year. The installation will provide valuable back-up electricity to a busy and growing industrial area. Saltend Power consists of 11 x 4.5MW natural gas engines as well as 25 x 2MW energy storage units to provide rapid and flexible generation and storage asset. The energy storage component can deliver electricity within a second when required, whilst the gas engines can provide a long-term response to energy demand. The site is shovel-ready and awaiting commencement of construction. 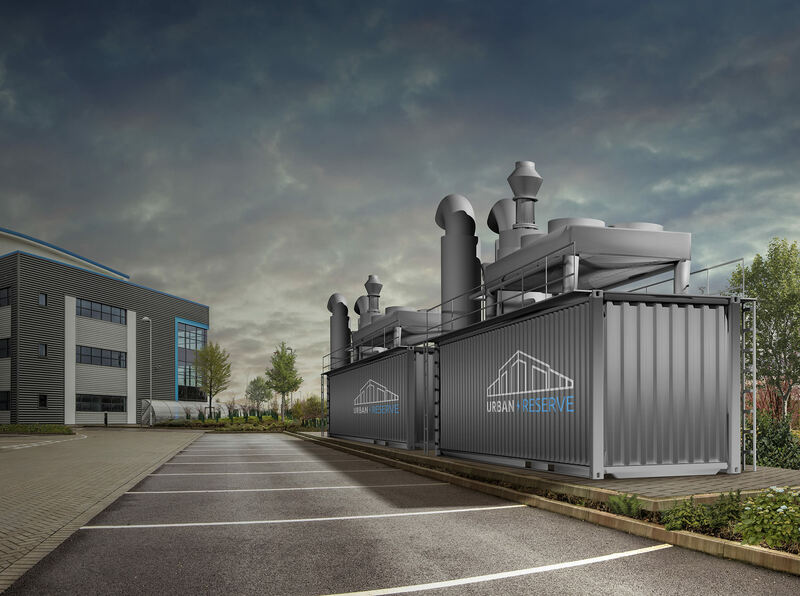 AMP Clean Energy has obtained planning permission for a peaking plant consisting of ten x 2MW natural gas generators, in the heart of an industrial estate in Weston-Super-Mare. This project, which will provide back-up energy at times of peak demand, is shovel ready and awaiting commencement of construction. At AMP Clean Energy we have an established track record for developing decentralised energy assets which provide electricity when and where it's needed most. 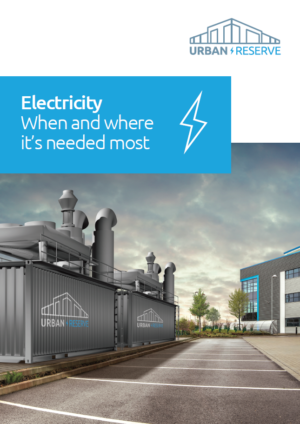 Urban Reserve helps support the intermittency of renewables such as wind and solar by providing flexible, on-demand energy generation. Our urban flexible generation plants also help bolster the development of new technologies such as electric vehicles and heat pumps, which will increase demand on electricity in our growing cities. AMP Clean Energy has ambitious plans to develop a significant pipeline of smaller urban flexible generation plants which will help support the UK's transition to a low carbon economy.